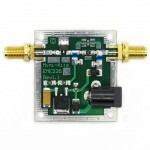 Mini-Kits manufacture and stock various packaged RF amplifier modules that are suitable as building blocks for projects. We also stock some Mini-circuits products that are available until Sold Out, but we can supply them by special order in around 3 to 4 weeks POA. For Mini-Circuits products please email for pricing and availability. The PGA-103-2M-R2 is a high dynamic range low noise wide-band amplifier that is spec.. The PGA-103-UHF-R2 is a high dynamic range low noise wide-band amplifier that is spe.. The GALI-84-R2 is idea as a wide band high gain driver amplifier with up to +21dBm o.. The MGA-31189 amplifier is a high gain 0.25W driver amplifier for use be.. The PGA-103-ADS-R2 is a high dynamic range low noise wide-band amplifier that is spe.. 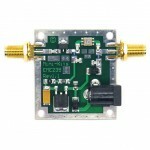 The PGA-103-FLARM-R2 is a high dynamic range low noise wide-band amplifier that is s.. The PGA-103-WB-R2 is a high dynamic range low noise wide-band amplifier for use betw..